It’s getting hot, hot, hot. And even though the outside temperature is rising, your body temperature doesn’t have to, with these fun, water-based ways for you, your friends and the kids to keep cool in the out-of-doors. Central Texas is one of the most water-replete areas of the state, and with all the rivers and lakes in and around the Hill Country, there are countless watering holes to explore. In Wimberley, Jacob’s Well is one of our favorites. One of the longest underwater caves in Texas and an artesian spring, Jacob’s Well has been a beloved swimming hole for generations, and is a source of water for recharging the Edwards Aquifer. The water stays at a constant 68 degrees throughout the year, so it’s a wonderful place to cool down in the summer, too. There isn’t too much room for wading or actual swimming, but there is a rock face on the side of the well that makes a great diving board. And the hole goes 30 feet deep, so there’s no chance of diving too far. Also in Wimberley is Blue Hole, a more traditional swimming hole with changing rooms and restrooms, stone walkways in and out of the pool, and ladders for the deeper areas. The hole is shaded by mature Cypress trees, and there is a nice, grassy area across from the water that is perfect for a family picnic or for drying off in the sun. There’s a $7 entry fee – but it’s well worth it. Both Jacob’s Well and Blue Hole are less than 20 minutes away from Kyle, making them a perfect afternoon excursion for cooling off with the family or friends. Up north in Austin, there’s the Barton Creek Greenbelt, an urban oasis of trails for running or biking and great watering spots like Campbell’s Hole, Twin Falls and Sculpture Falls. They’re really popular places for Austinites to explore, and some of them are a bit of a hike, but they’re magical natural spaces, and are great for people watching. Here’s a PDF map of the Greenbelt with details about trails, water spots and access points, courtesy of the Austin Parks & Recreation Department. For at-home water fun for the family, there’s a lot that can be done with sprinklers, ice and the outdoor hose. Games like water limbo, splash tag and musical sprinkler freeze are great games for a crew of kids, and there’s always a traditional water balloon or water gun fight. Here’s a pretty robust list of some great water-based outdoor games for summer parties or those afternoons where your house is the place to be. You can also have your kids play outside with ice to keep cool in the summer. Freeze action figures in blocks of ice for an icy excavation game, or make an art craft out of ice by sprinkling salt in a block of ice to melt the cracks and tunnels. Then drip liquid watercolor paint into the tunnels and see the beautiful patterns that the salt created. Then there’s always the traditional pool action. 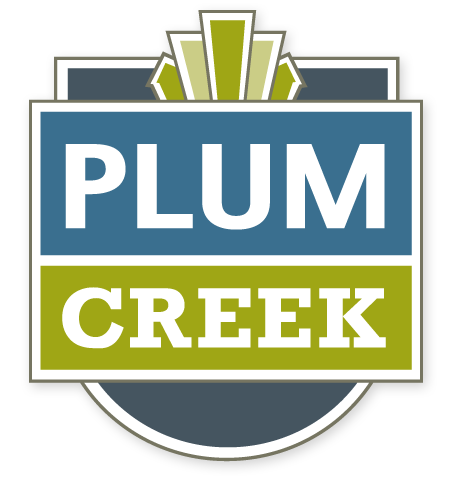 Plum Creek has two in the neighborhood – Fergus and McNaughton – each with their own distinct personalities, and the City of Kyle’s public pool is open throughout the summer. Plus they have fun programming going on this summer, too. So whether you want to stay in the neighborhood, in the city, or do some exploring, there’s so much to do to keep cool this summer in Central Texas. For more watering holes in the area, check out some of our past posts here.